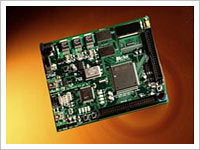 Backed by rich industry experience, we are engaged in offering high quality Embedded Design Solutions. Our solutions are offered under the close supervision of our qualified professionals. These solutions are appreciated by clients for their reliability, timely execution and cost-effectiveness. Moreover, our solutions cater to the needs of hardware and software. Leveraging on our vast expertise in this domain, we have been able to meet the growing demands of clients in terms of Embedded Design Solutions. Our professionals work in close coordination of each other in order to complete the designing process in a timely manner. With latest software and cutting edge tools, we are able to offer the designing solution in compliance with the international standards. We carry out these services on turn key basis, at cost effective prices and within the stipulated time period. We are also engaged in offering Embedded Software Design Services.These services are carried out by our skilled and experienced technicians. They follow the industry standards in the process to offer our clients a quality range of products and services. Our software design services are known for client oriented nature, timely completion and cost effective. Clients can also offer their input in order to customize the design services as per their application demands. 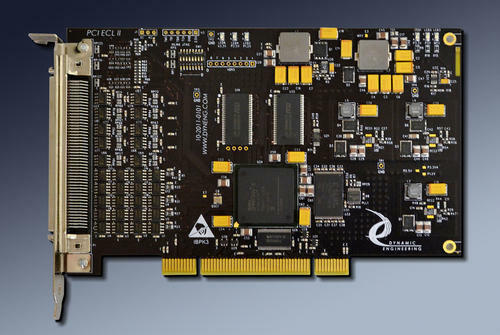 A complete design,prototyping to mass prroduction sequence was followed in development of this 4 layer card having all kinds of electronic components including fine pitch TQFPs, Organic LED, smd connecors and power semiconductors. 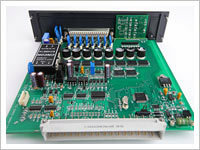 The design was improved by iteraions through concurrent design environment using Allegro PCB editor. The Design for manufacturabilty aspects were considered on basis of inputs received at various work stages from shop floor. Interfab has in-house embedded design team to offer solutions to customers need in conceptual design. Projects are selected after proper inteaction & inputs from the end user.Specifications are freezed out & documeted to enable further understanding. Flowcharts & look up tables are made to streamline the design & development of work flow to meet defined needs. Application engineering group works for finalization of hardware , software needs & protypes are built and tested to meet end results to meet customer's expectations. After evaluation & testing of the prototypes necessary check-lists are made for further design improvements & addition of features if requested by the end user. INTERFAB caters to stringent requirement of the customers catering to market segments such as Instrumentation,Process Control & Industrial Automation. The relaibility of assemblies are assured by following a well defined Quality Plan such envelopes inward, Inprocess & final inspection needs of the application. Checklist are prepared specic to the hardware & further continuously updated thoughout the design iterations to improve up on by adopting lean manufacuring practices. 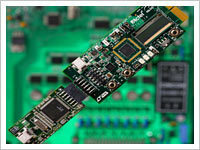 Looking for “Embedded Design Solutions”?